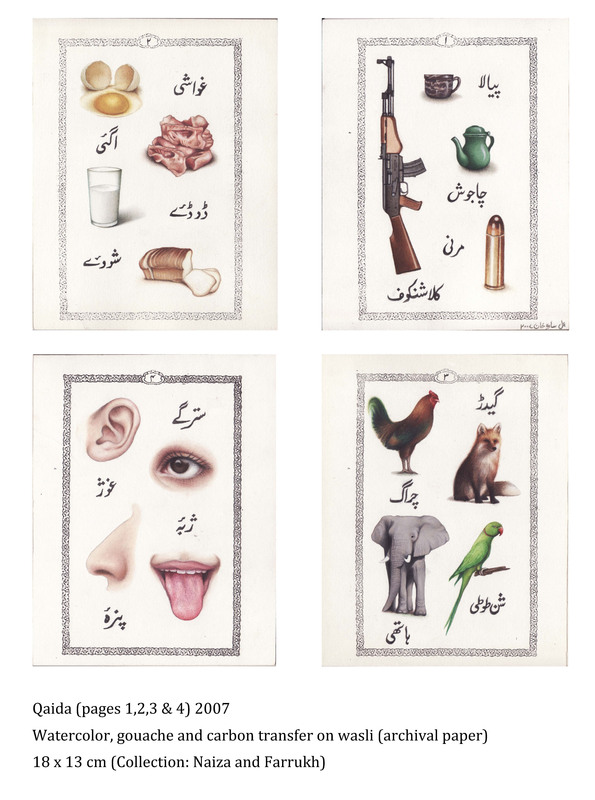 Sara Khan Pathan, a fine artist/ creative educator, a distinction graduate of University of Karachi, has over the years become a thriving multi-disciplinary artist. Her work is mainly an amalgamation of portraits, fusion of text, unambiguousness of walnut shell, plastic toys, bullets and pellet gun shot drawings; beautifying the rage rather than creating a revolting effect, depicting through satire the commonality of social aggression that is prevalent in an uneven progression. She has been exhibiting a number of successful shows nationally and has been showcased abroad as well. Khan lives and works in Karachi and is an active faculty member of Visual studies department at the University of Karachi.